Hi Friends! Today I'm sharing card #2 of five, from one of our mini classes, at this past weekend's Creative Holiday Retreat. 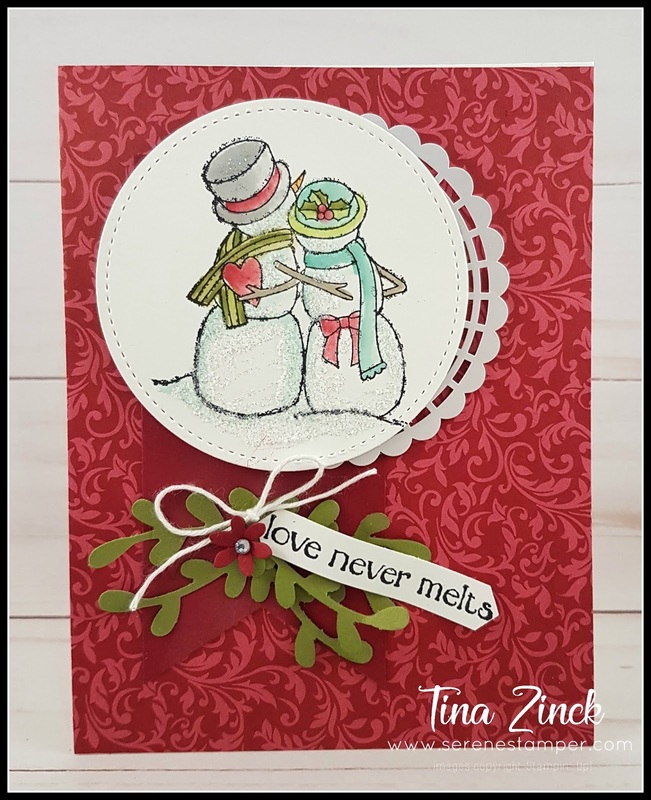 I have just loved creating cards with the new "Spirited Snowmen" stamp set and everyone at the retreat had fun making this card too! 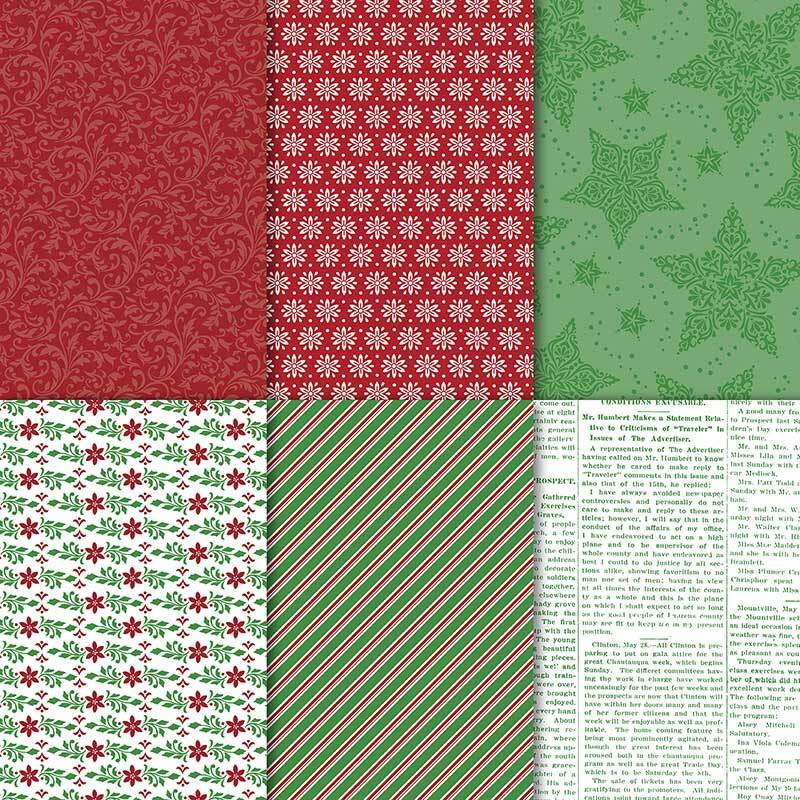 On the card we use the gorgeous Designer Series Paper, "Dashing Along", which is not in the Holiday Catalogue, it's from this month's special promotion and you can get it for FREE! Click here to learn more. This paper is beautiful!!! 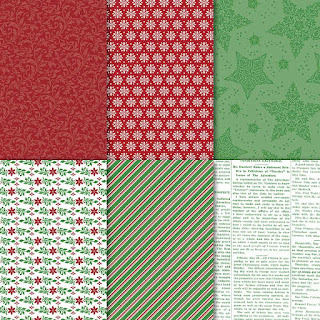 Cut Whisper White card stock 11" x 4 1/4" and fold in half for card base. Adhere 5 1/2" x 4 1/4" piece of Dashing Along Designer Series Paper to the front of card. Cut a strip of Cherry Cobbler card stock to measure 2" x 4 1/4" and flag one end with the Triple Banner Punch - glue to card. Cut a pearlized doily in half and glue to banner, overlapping onto the Designer Series Paper. Run Whisper White card stock through the Big Shot with large circle from Stitched Shapes dies. 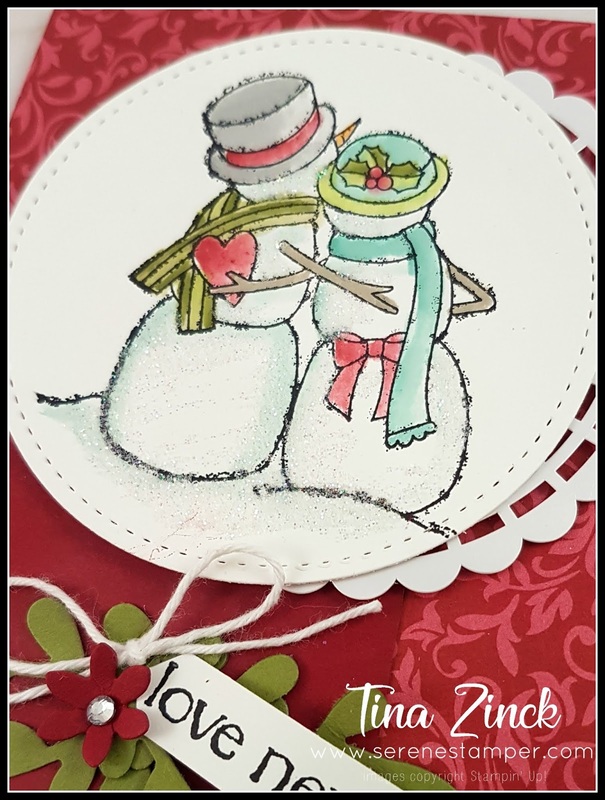 Stamp image from Spirited Snowmen set using Black Stazon. Color with aqua painters and ink pads. Add some liquid glue where you want the 'snow' and sprinkle on Dazzling Diamonds glitter. Use Stampin' Dimensionals to add to card front. Punch out three leaves from Old Olive card stock using Sprig Punch and glue to bottom of Cherry Cobbler Banner. Add a Cherry Cobbler flower, cut from Detailed Deer Thinlit dies. Add a rhinestone in centre. Place a Whisper White Twine bow next to flower, securing in place with a glue dot. Stamp "Love Never Melts" with Black Stazon on scrap piece of Whisper White card stock and cut with the Classic Label Punch. Tuck under the sprig leaves using glue.